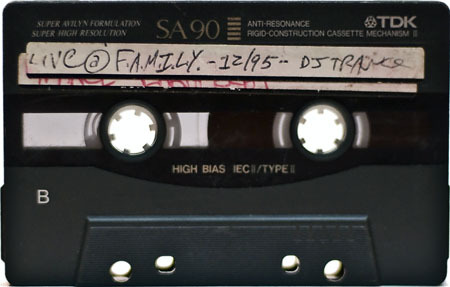 Live recording of DJ Mojo at F.A.M.I.LY. 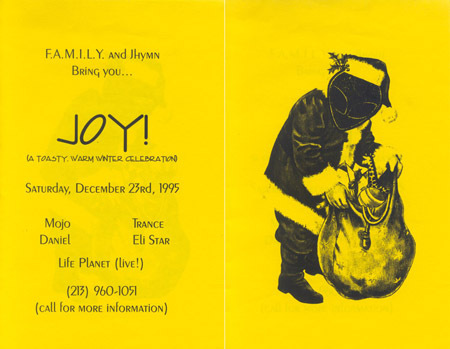 on New Years Eve 1997 – 1998. 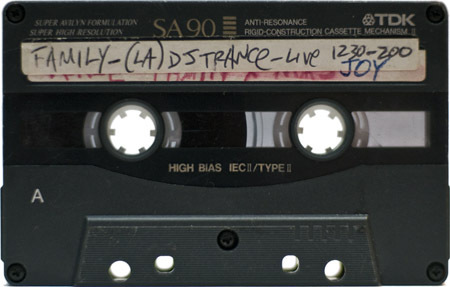 This unreleased DJ Trance mixtape was recorded live, in December 1995, at “Joy” by F.A.M.I.L.Y. 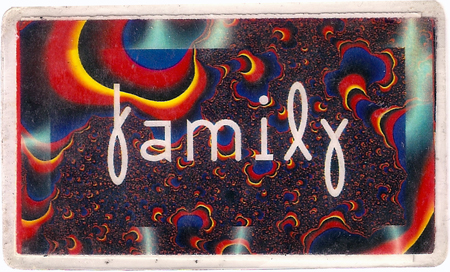 The voice on side B, at about 34:00, is Just Jhymn. Thanks for contributing this tape JB!